We work with a rough agenda on our courses but are conscious that it is YOUR day so we remain very flexible. 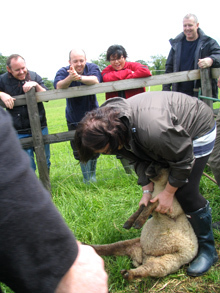 Our aim is to answer all your queries and cover the aspects of smallholding most relevant to your situation. We are happy to tailor-make courses (for a minimum of two people) and can be flexible on dates to suit you. Lunch, refreshments and a copy of comprehensive lecture notes are included in the cost. We offer discounts for couples. We can recommend a range of accommodation options locally or can offer camping facilities if required.